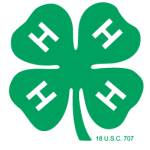 4-H Club Management is the organizational operation oversight for the development and ongoing existence of a 4-H Club or Group including the programs, resources and inputs. It is about the organizational structure where 4-H happens. The focus of management is on systems, resources and things. In contrast 4-H Club Development is the education and empowerment of 4-H Clubs, members and volunteers to provide quality positive youth development educational experiences for youth members. 4-H Club or Group development includes improving and building the volunteer and member knowledge and competencies needed for leadership and service roles within 4-H. The focus of development and leadership is on people.